Address: 203 West Yellowstone Ave.
Cody Cowboy Village is located close to all local activities including the world famous Buffalo Bill Center of the West. Concierge service is available to assist guests with arrangements for all activities including dining and golf. The property features an extra large (35 person) heated outdoor spa with waterfall. Complimentary continental breakfast is served daily. All rooms are nonsmoking. Parking is available for RV’s, buses and trailers. 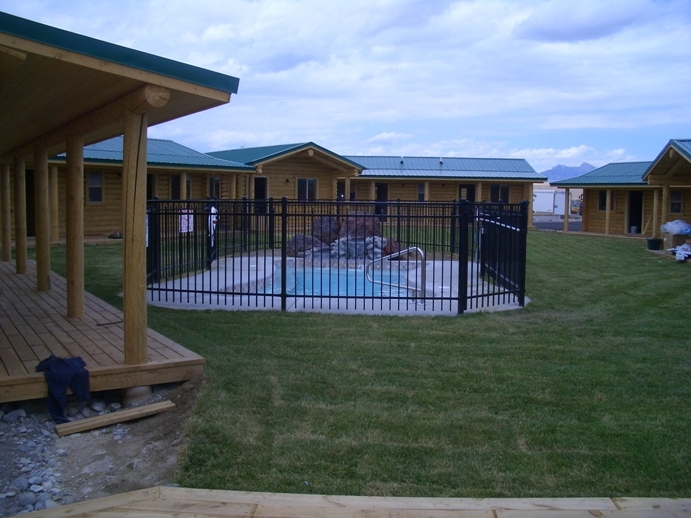 Cody Cowboy Village has 40 single rooms and 10 two-room suites with two queen size beds and one queen size sleeper sofa. Flat screen TVs are in all rooms and a cowboy theme is used in the decor. ADA rooms with showers are available upon request. Open May-October. No Pets.